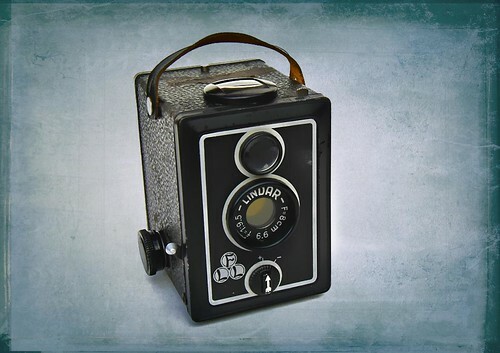 The Lindar is a box camera from Linden in Germany, designed for 6x6 cm exposures on 120 roll film. Some examples have the FLL circles logo (for Friedrich Linden, Lüdenscheid), while others lack it. In addition to the instant/bulb shutter lever, a dial on the front selects a yellow filter to enhance clouds in black & white photos. Aside from cosmetics, it is a twin to the Linden Reporter. This page was last edited on 24 November 2013, at 01:39.